WHY GO: Wicomico County MD (population 100,000) encompasses several burgs and the emerging town of Salisbury. Constantly reinventing itself economically – from tobacco and grain, to timber, seafood, “truck farms,” and now as headquarters of chicken producer, Perdue – wealth came from a succession of industries and Wicomico County thrived. But with the completion of Route 50 and then the recession of 2008, the county fell hard. 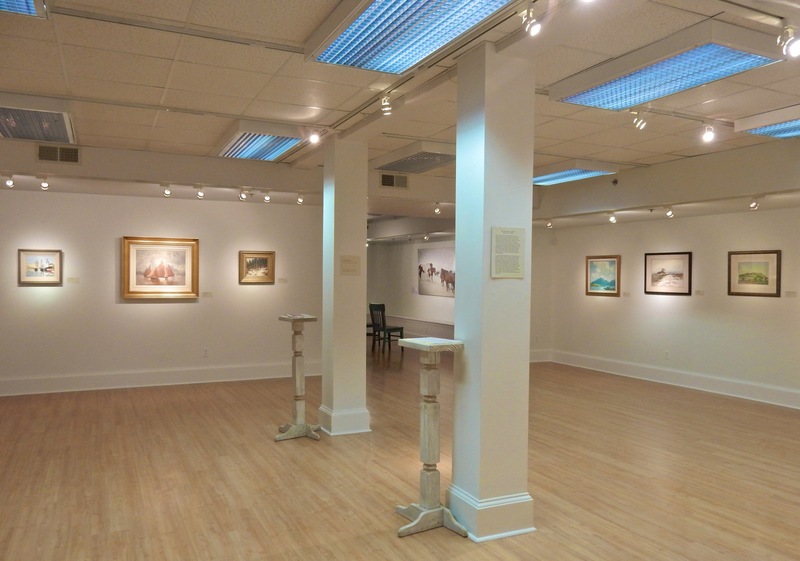 Lately, however, with arts and tourism, Wicomico has been finding its footing. 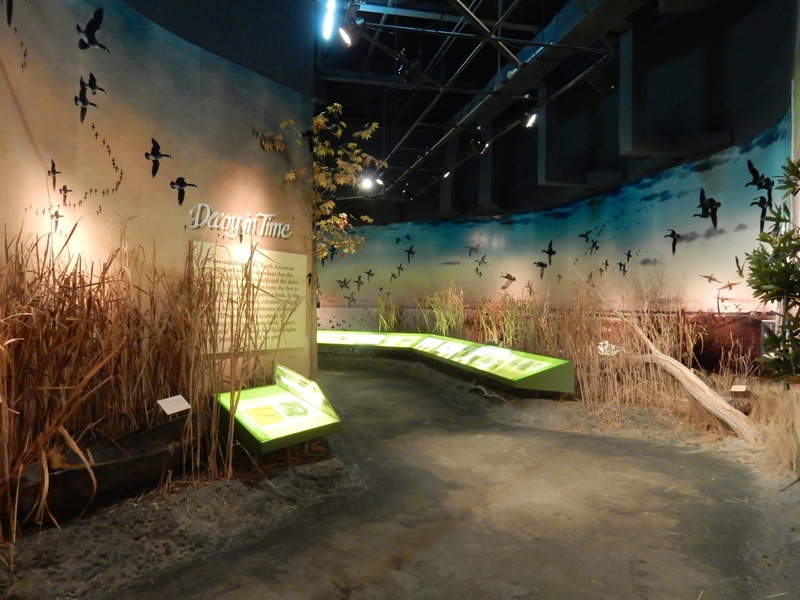 A premier Wildfowl Art museum, a small but popular zoo, fantastic clam shacks, breweries, and one historic B&B with bewitching views are drawing more and more curiosity seekers to this Chesapeake Bay region. 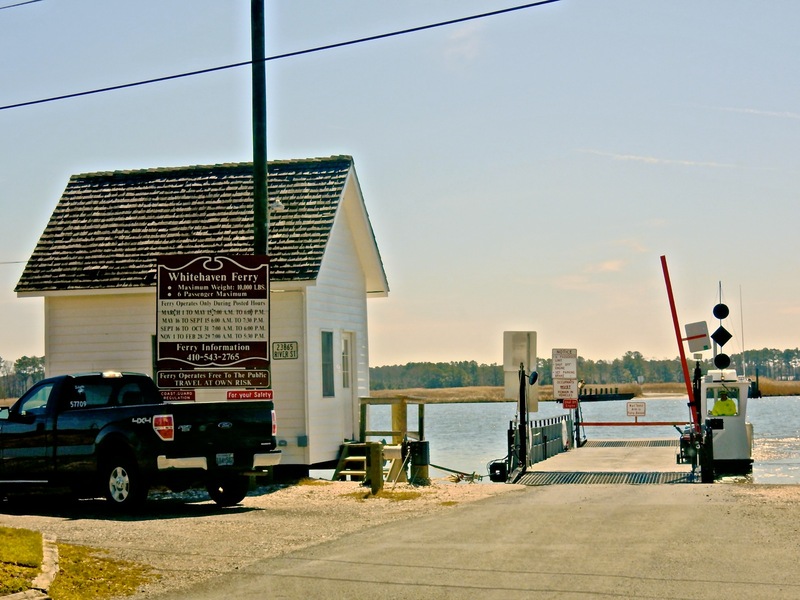 The “Capital of Maryland’s Eastern Shore,” and the “Crossroads of Delmarva” (Routes 13 and 50), Wicomico County, is just a 2 ½ hour drive from DC and Baltimore. Read on below for the reasons get off 50 and stay. GO: Ward Museum of Wildfowl Art, Salisbury. 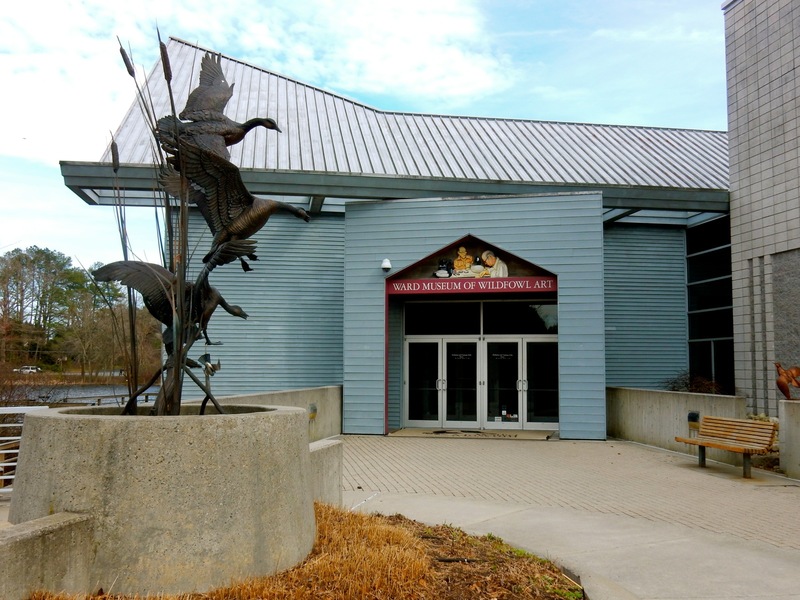 This fantastic museum, a paean to the craftsmanship of carved birds, turns 50 in 2018 (since 1991 in this modern building), and should be a first stop for anyone coming to Wicomico County – even if you don’t know about or believe you won’t enjoy looking at duck decoys. 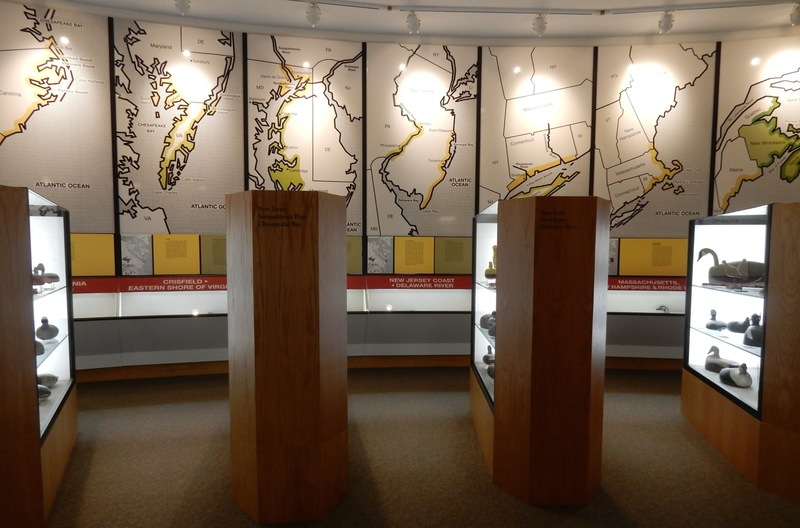 The much praised Ward, in the Chesapeake Bay Watershed, provides an indoor-outdoor experience, examining the cultural traditions of the Eastern Shore and “lifeways” of the Delmarva Peninsula through art, history, nature and community programming. In several galleries, you’ll find some “flat art” (paintings) and sculptures that have nothing to do with birds. But of course, Duck Decoys are the stars here. But by 1918, bird counts were diminished due to over-hunting and increased demand for plumage used in women’s hats. The Migratory Bird Act of 1918 put the kibosh on commercial hunting, leaving it solely a recreational activity. Market hunters became guides. And decoys, once the province of artisans, became mass produced, leading to a renewed interest in individually carved birds, some which were never meant to be used. Collectors sought out the best of this folk art – pieces of Americana that fits nicely on shelves. A. Elmer Crowell from East Harwich MA is considered one of the finest decoy carvers of all time, and prices paid for his work reflect that; most in the high six figures. His Preening Pintale Drake went for the highest amount ever spent on a decoy – $1.1 million. The namesakes of the museum, the “Ward Brothers” – Lem and Steve Ward – were barbers from Crisfield MD who became famous for the decoys they carved when not cutting hair. Rather poor, the Wards bartered carvings for medical treatment, and their doctor, impressed with the quality of their wooden ducks, began submitting them into contests. Soon, the brothers became legend, their “Wildfowl Counterfeiters” more accurate and artistic than any other. Lem and Steve inscribed poems on the base of their carvings, and sold them for $25 vs. $5 others charged. 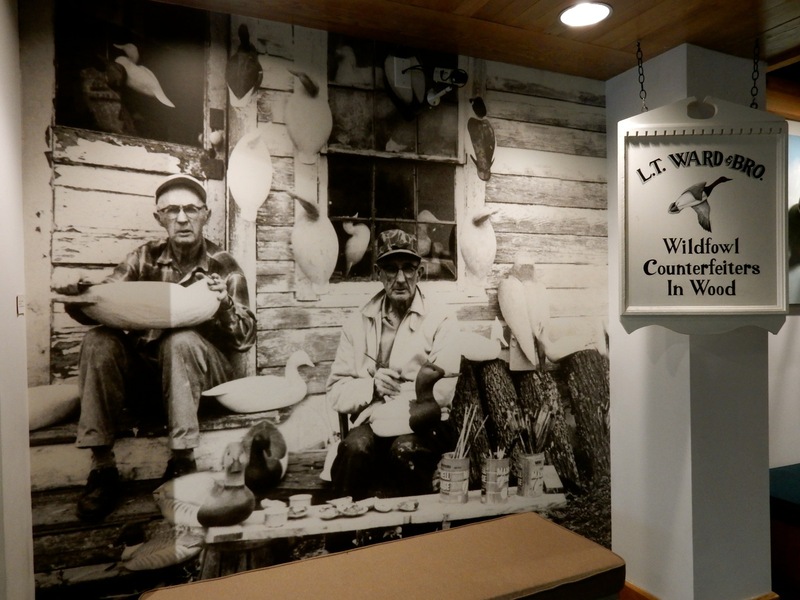 Ever modest, and passionate about preserving artisanal decoy carving, Lem and Steve established the Ward Foundation in 1968 while still alive, and were featured in National Geographic Magazine three times. Though Steve died in 1976 and Lem in 1984, their memory lives on through this museum, one gallery dedicated to their own work, and the ongoing Ward Foundation Annual Championship, which brings attention to top carvers from all over the world. Most are realistic, with feathers as precise and intricate as the real deal. 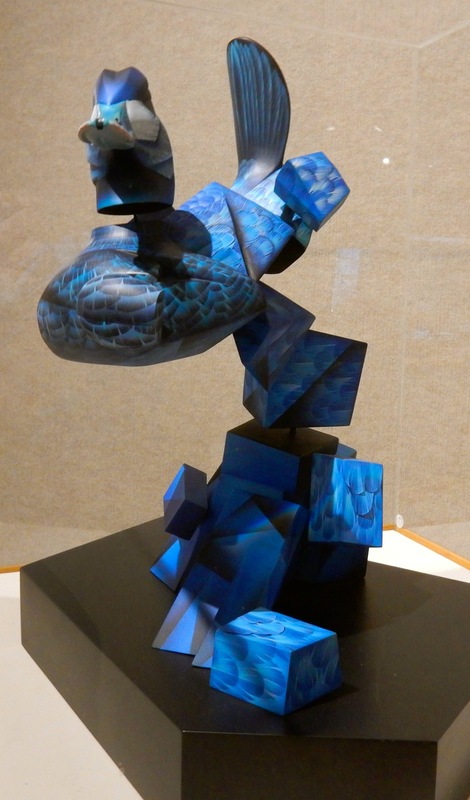 But last year’s winner, a Blue Cubist Duck carved by Daniel Montano, colored way outside the lines of this generally staid form of art. Open Mon-Sat 10-5, Sun 12-5, $7 adults, $5 kids. 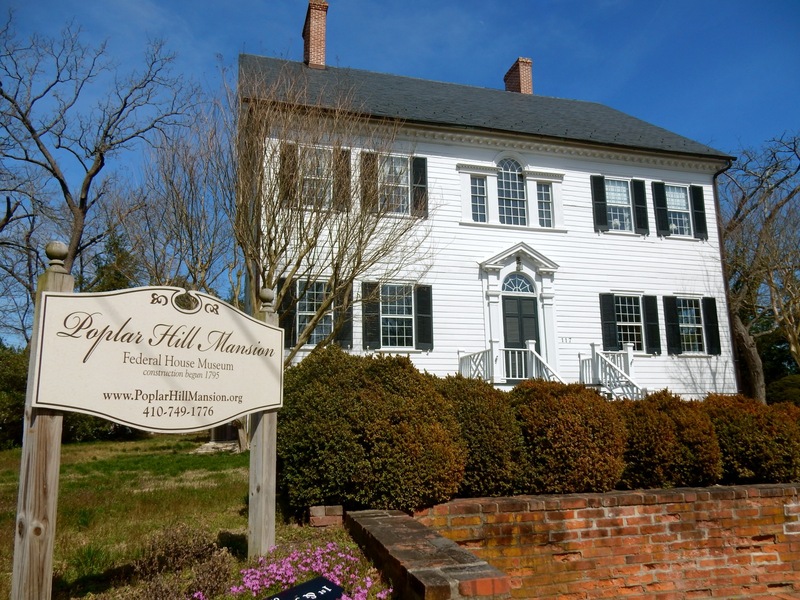 TOUR: Poplar Hill Mansion, Salisbury. 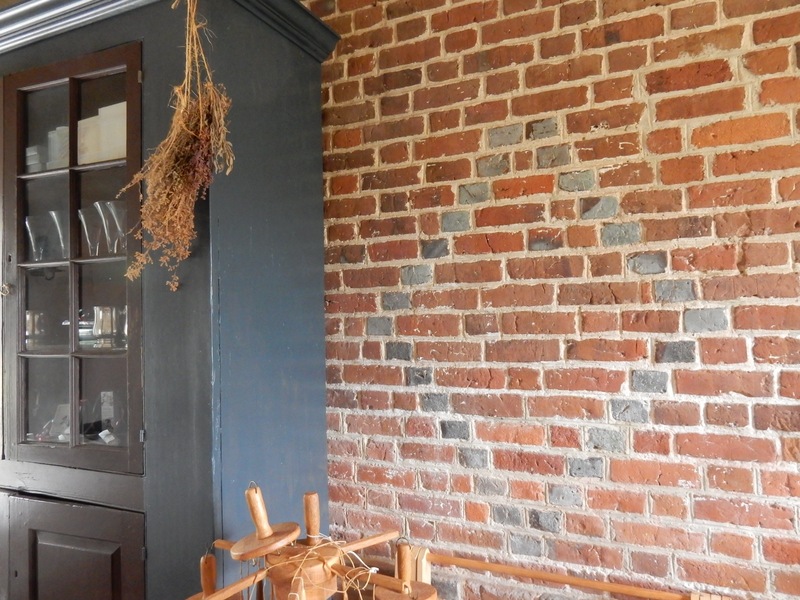 You’re invited into a local treasure – one of the oldest homes in Maryland – for a very interactive tour. Sit on the chairs (no ropes! ), play the piano forte, handle items: it’s a fantastic look and feel back in time. Two hundred years ago, neighbors referred to the Huston home as “the House on Poplar Hill,” its long, straight driveway lined with Poplar Trees. Rhode Islander, Major Levin Handy, purchased 375 acres to farm here and in 1795, began construction on this grand home, reminiscent of a New England mansion, built of wood rather than brick. Handy, “not a great farmer,” according to tour-guide/curator, Sarah Meyers, died leaving his widow deep in debt, so in 1805, the unfinished house was sold to Salisbury’s first surgeon, Dr. John Huston, who moved in with his wife, Sara, and four daughters: Elizabeth, Isabella, Anne, and Sally (the three oldest with streets in the area named for them). He finished the home, a noteworthy example of the Federalist style, where symmetry and Greek elements rule. Walk in to a central hall, with soaring 11’9” ceiling and delicate archway. Historians have been meticulous in researching the home’s original colors and applications: in the parlor walls in bright yellow look streaky on purpose – the paint a decorator’s favorite milk-based glaze. In fact, shades of yellow, red, and green predominated during that period, as the color blue, made from indigo, was expensive. Here, blue was used as trim, and was meant to convey wealth. Brass hardware on the doors, along with hefty skeleton keys, are original to the home. An Eli Terry & Son’s clock sits on the fireplace mantle, and quite possibly, the coolest artifact in Wicomico County: a 1700’s Piano Forte. 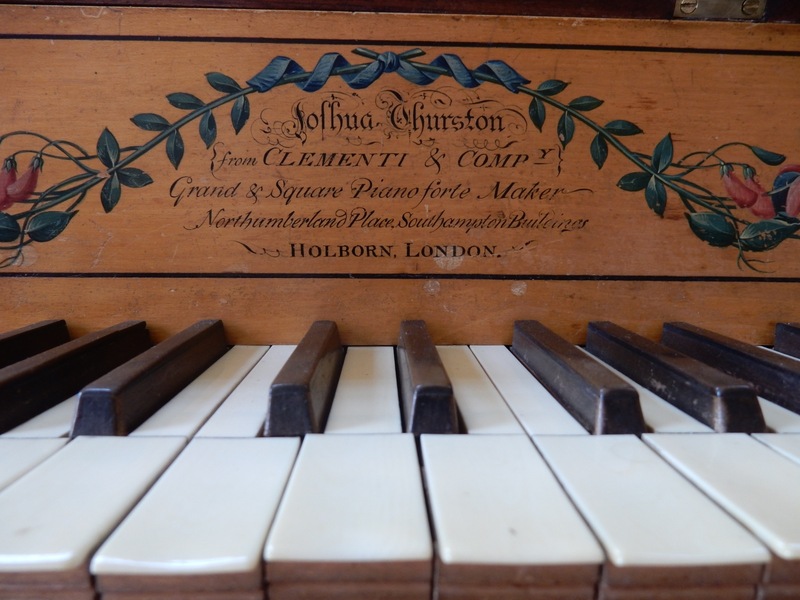 This Clementi & Co. instrument, made in Holborn London, is incredibly rare, and more incredibly, visitors with experience are invited to play it (though it is out of tune). The Friends of Poplar Hill Mansion spent $11,000 to restore it to playable condition. 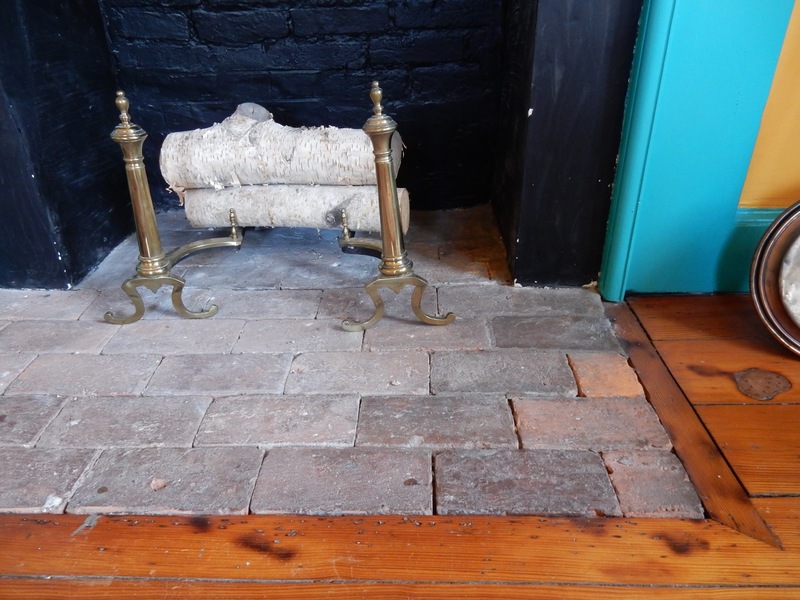 The Huston’s apparently loved to entertain: their inventory showed 42 Windsor Chairs for large dining room clad in Pompey Red and Golden Ochre, with a large cooks fireplace. 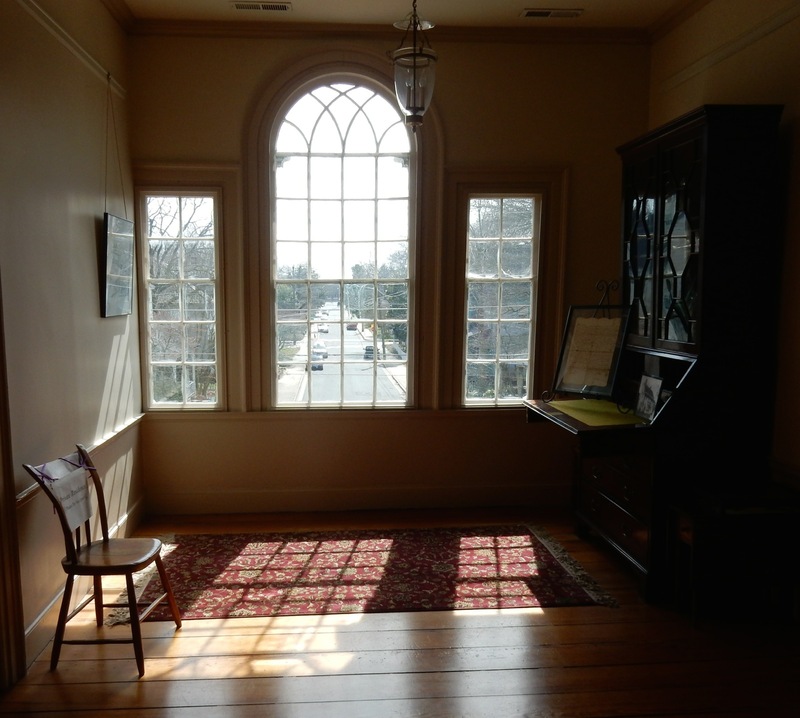 The Palladian Window, on the second floor at the front of the house, grand and imposing still, is considered one of the best in the State. The four girls had slept in one room on that floor, and restorers discovered a “concealment shoe” in their wall– placed there, as was customary at the time, to ward off evil spirits. The Hustons were slave-owners (as many as 18 at one point). Residue from the home’s one documented death remains. Young slave, Sally or Sara, was tending to the fireplace in the girl’s room and tragically, her dress caught fire, engulfing her in flames. Burn marks and a leather patch over a hole that ran straight through to the first floor can still be seen. Guided tours Sundays 1-4. 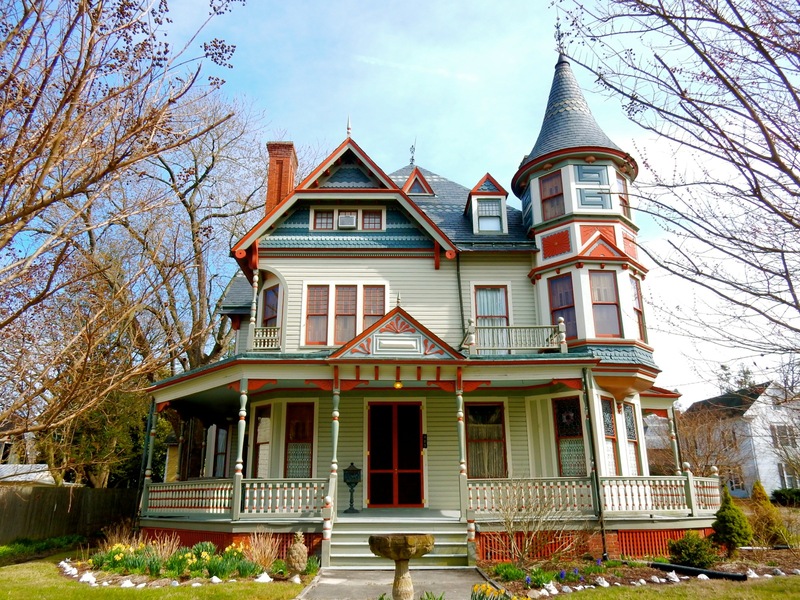 WALKING TOUR: Newtown Historic District. Newtown, Salisbury’s first residential district, was developed on the lands of the Poplar Hill Plantation. The Poplar Hill Mansion, on the National Historic Register, is within this 240-property historic district composed of Queen Anne, Classical, English Cottage, Greek and Colonial Revival style homes. 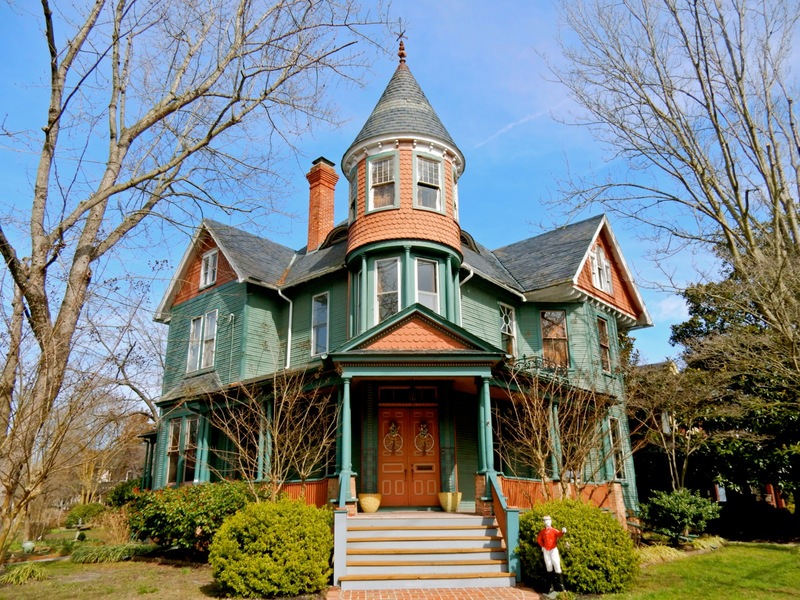 Young couples and retirees are discovering fantastic deals on large Victorians within a short walk of compact downtown Salisbury, many intact due to “preservation by neglect,” according to Architectural Historian, Barry Dressel. 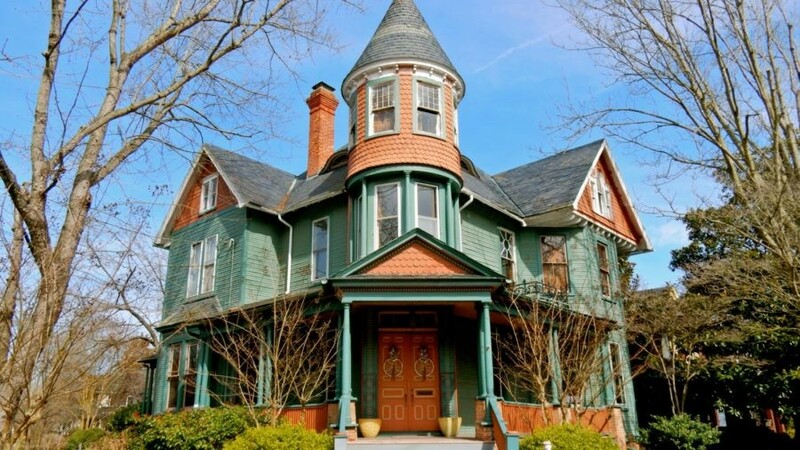 The light green and orange 1887 Gillis-Grier house, with its ornamental elements, gables, dormers, and rooflines, is one of the most photographed homes in Maryland. Once left to seed, some of these homes have been sold at a fraction of the price they would claim in larger cities – drawing newcomers to Salisbury in search of a simpler (and less expensive) way of life. This new blood is generating an upbeat, artsy, food-forward vibe, and a stroll around this neighborhood is an excellent way to see what’s on the market. In mid-March 2017, a large Queen Anne in need of some work was going for around $200K. TOUR: Pemberton Hall in Pemberton Historical Park, Salisbury. 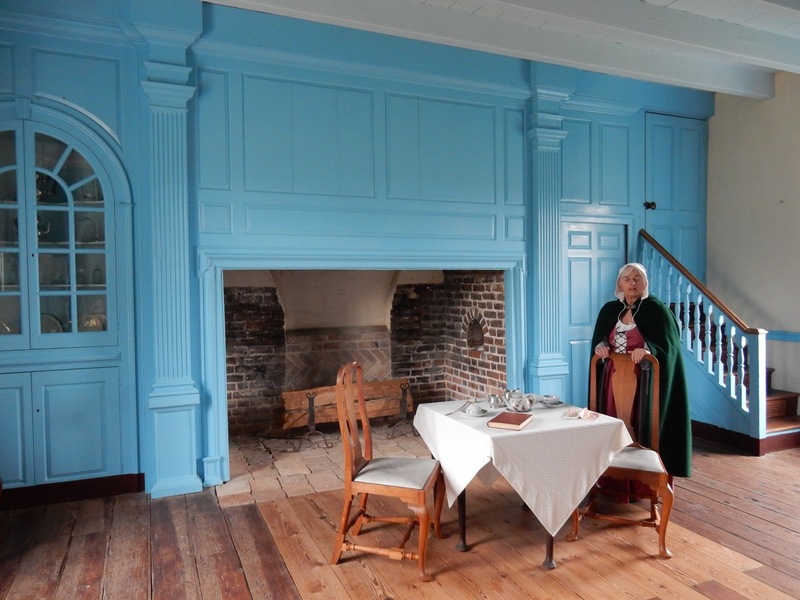 “You are standing on floorboards that are older than America itself,” says costumed interpreter, Pat Taylor – one of several volunteer docents who give tours of this underrated attraction that sheds light on the life of an upper-income family. 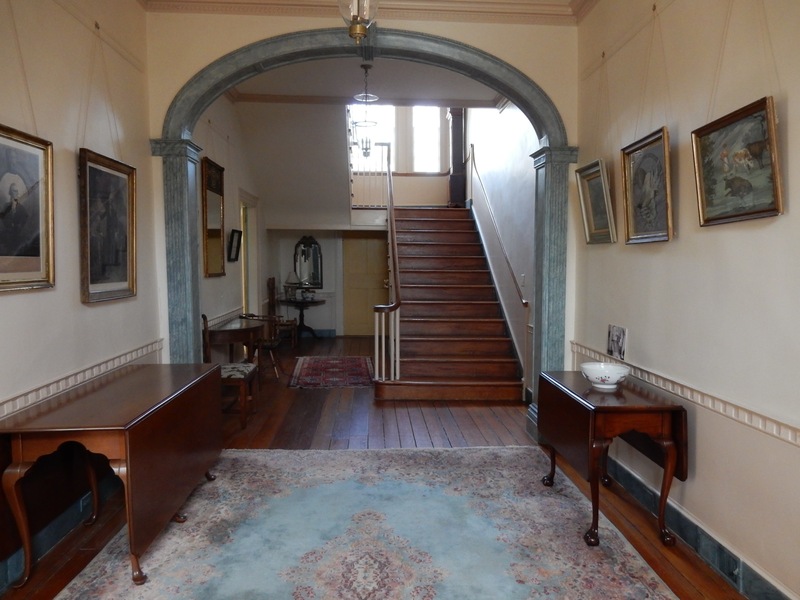 Pemberton Hall was built in 1741 to impress – its main room resplendent in imported wealth-flaunting Prussian Blue. As with most historic properties, this one was in danger of demolition and saved only by concerned citizens in 1964 – a good thing, too, as it turned out to have the only Tester Bed Frame in the country in its original place. Though it looks small from the outside, the main room/hall is cavernous, and next to it, a small family room dressed in drearier brown, a cozy spot heated by another fireplace and used only by the family. The kitchen, added on a few years later, still features a diamond pattern, incorporated into structures of the day to “keep evil spirits away,” in grey brick on the former exterior wall. 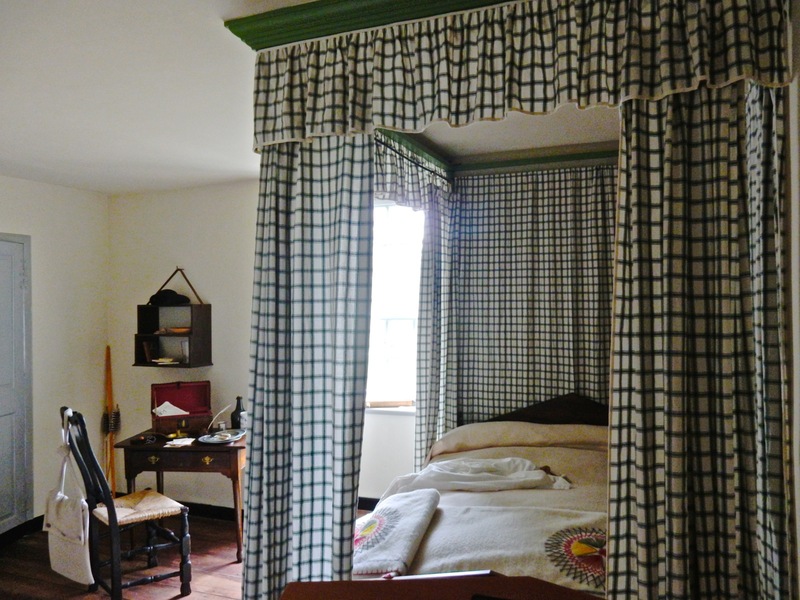 Upstairs, a couple of “Williamsburg Quality” exhibits are well researched and impressive – one the room with the original tester bed frame set up as if its occupants in the late 1700’s – 11 year old Henry Handy and his 9 year old brother, Thomas, were just about to leave for Eden Academy. Tours during Park events or by appointment only. Check Website for times. VISIT: Salisbury Zoo, in Salisbury City Park. Back in the 1950’s, people started dropping off monkeys, deer, and even a bear in this wooded section of Salisbury for no apparent reason, leading to the creation of an actual zoological park. Once called “The Best Little Zoo in America,” this free to enter collection of North and South American and Australian animals (no big game African creatures) is still popular with families. There’s a playful bear, a gaggle of alpaca’s, a jaguar, ocelot, owls, otters, and much more – all quite entertaining. 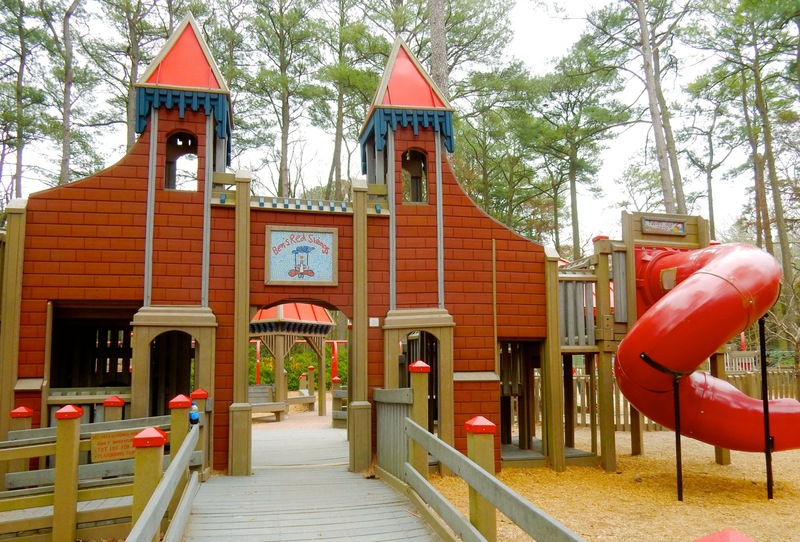 One of the largest draws, just outside the West Gate, is Ben’s Red Swings – an expansive playground built by the community in memory of cancer victim, 4 year old Ben Layton, who wanted to have “red angel wings” when he went to heaven. Zoo open year round daily 9-4:30 except Christmas and Thanksgiving. GO: SBY Art Space, Salisbury. Thought the SBY Art Space is community-focused, with programming and classes for all ages, its bite-size gallery space has been upping its game lately. Formerly a place exhibiting the work of only local artists, curators now source pieces from elsewhere, exposing residents to “good quality artwork” from all over. Visitors can pop in to take a look or sign up for an art or clay workshop (open studio hours Thurs. 2-4pm), or to just peruse the excellent gift shop. Exhibits change 6-8 times a year, so there will always be something new. Open Tues-Sun – check website as hours vary. SIDE TRIP: Mardela Springs, MD. This tiny blink and you’ll miss it burg in western Wicomico County was once a burgeoning resort town, and its history rests in the hands of two different Historical Societies – The West Side HS and the Adkins HS. 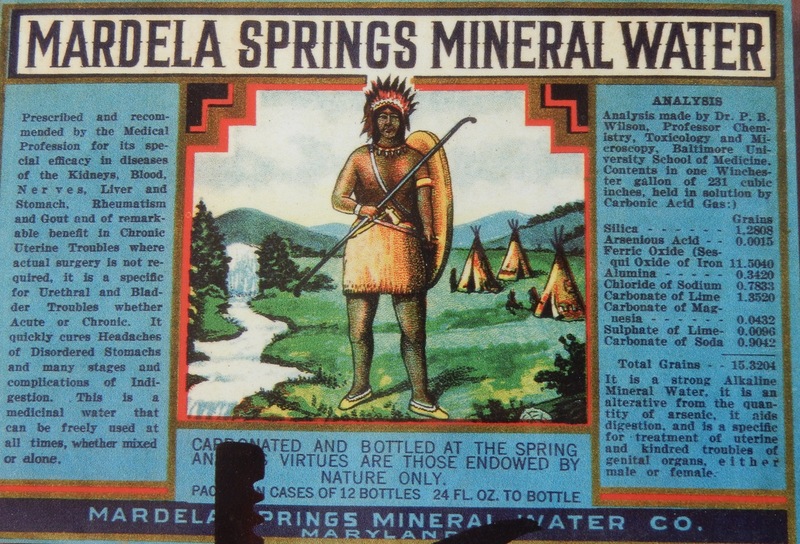 Formerly named Barren Creek Springs, massive amounts of mineral water – favored by Victorians for purported health benefits – sprang from the earth here. It was a stagecoach stop (water for horses), a timber-milling town and then a tourist destination. In1842 farmer Joshua Brattan built a Presbyterian Church for the locals – as the closest one at the time was miles away, and then opened a hotel resort on the hill beside it. The church fell into disrepair until the west Side Historical Society rescued it, returning it to its most beautiful incarnation. 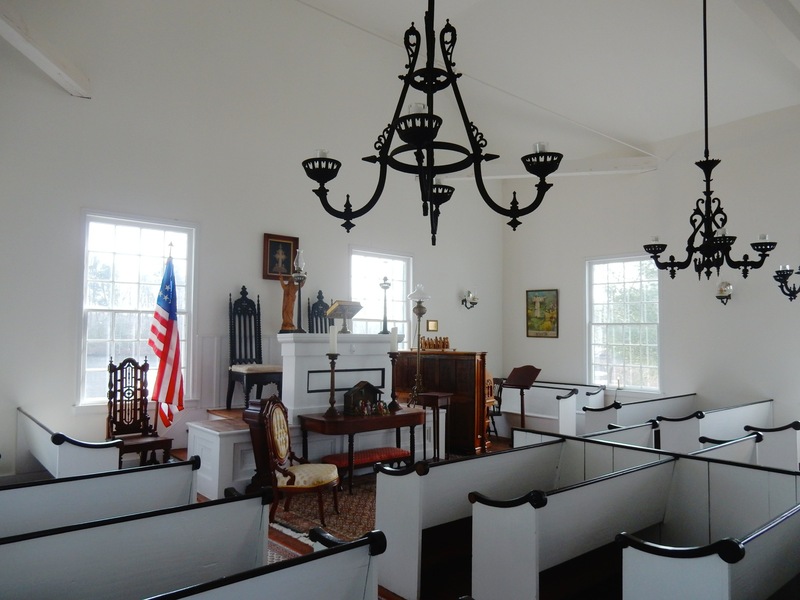 White pews are trimmed with black, and windows behind the alter face the creek. No longer operating as a church, it still hosts weddings. You’ll also find the remains of the mineral spring, which continues to spit out high-iron-content water, though not at the volume it did 100 years ago. 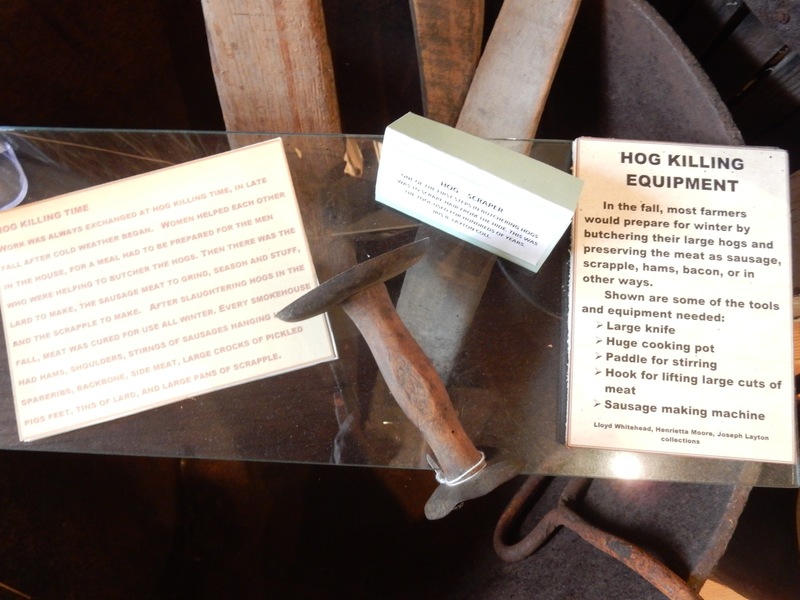 The WSHS also operates a history museum in a small storefront that seems to expand with every room you enter. It is stuffed with artifacts from colonial tobacco, subsistence, and commercial farms, showcases changes in transportation from sailing ships to highways, canneries to industrial age, stuff to do with schools, the Hotel in town, carnivals, social life, Granny’s kitchen, “Hog Killing” exhibits, and, most unique, black wedding gowns worn by brides who were still in mourning – prevalent during the Victorian age. A bit down the street (nothing is more than a couple of blocks here), you’ll find a complex of 10 historic buildings (currently open by appointment only through Adkins Historical Society) consisting of the Bratton-Taylor General Store, a one room schoolhouse, a red farm house, railroad sheds which became a doctor’s office and military memorial, a town museum, a Victorian Home, a train depot, a livery building and carpenter’s workshop. You can wander around the grounds, though funds are scarce for full time staff. BIKE: 30-Mile Ferry-to-Ferry Loop from White Haven. You’ll pass by Bordeleau Winery and traverse the Wicomico River on this straight up gorgeous landscape. Best of all, it’s flat as a pancake. EAT/DRINK: Evolution Craft Brewing and Public House aka EVO, Salisbury. It was the pure water that caught the attention of the Knorr Brothers. Perfect for making beer. Tom and John Knorr (owners of Southern Boys Concepts’ properties, SoBo’s in Salisbury, Red Roost in Whitehaven, and Boonie’s in Tyaskin) identified this abandoned 33,000 sq ft. ice plant as the best place to move their EVO craft brewing in 2012, and it has paid off big time. You’ll sample some of the crispest and smoothest new brews you’ve ever tasted. 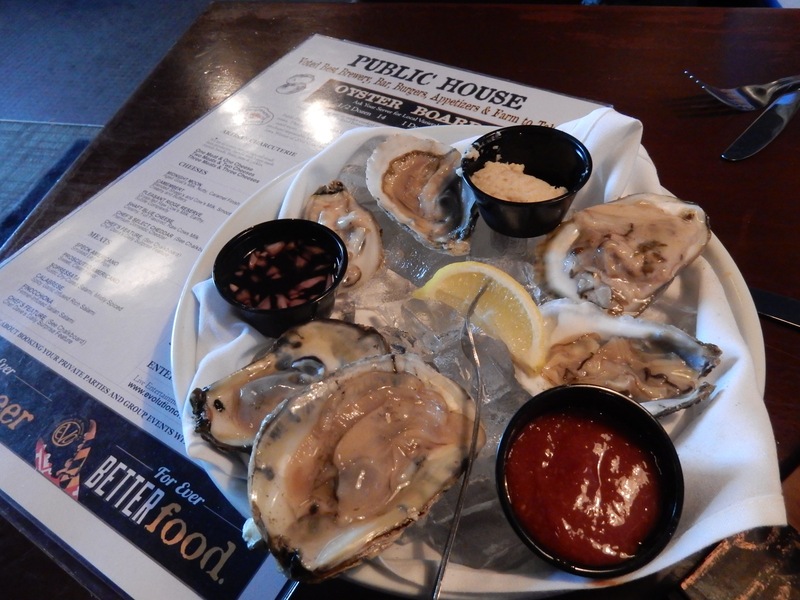 Primal Pale Ale, Lot 3 IPA, Lucky 7 Porter, Exile Red and the like pair well with items on a terrific menu: local raw oysters, charcuterie boards, burgers ($12), Quinoa-Kale-Berry Salad ($13), and inventive menu items you’d never expect in an ale house, like Duck Egg Pasta ($24). Save room for the Bread Pudding with Chesapeake Bay Farm’s vanilla ice cream. It’s a diet-wrecker for sure. This is a fantastic eating and imbibing experience, even though you can now pick up bottles of EVO brews in MD, DE, DC, VA, So NJ and WV. Come to taste at the source. 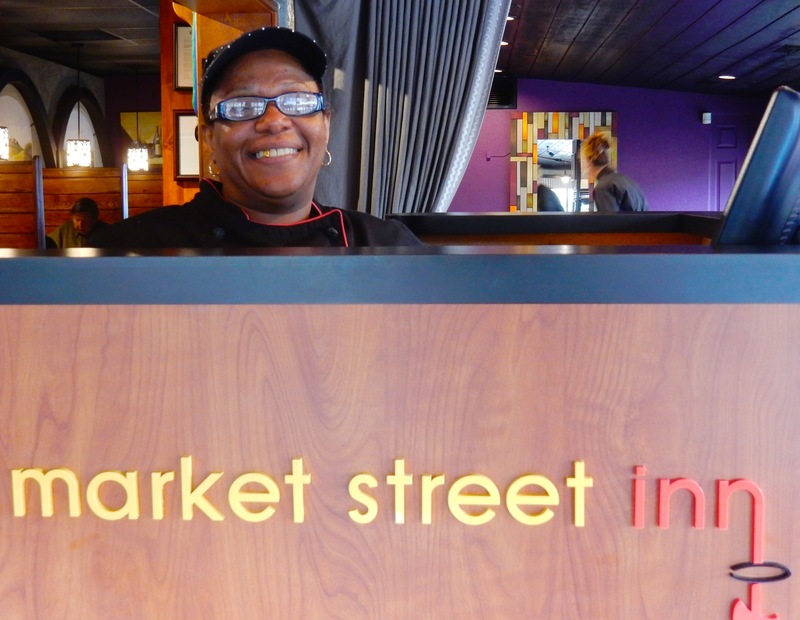 EAT: Market Street Inn, Salisbury. I fell in love with “Miss Flo” Harris’s famous hot Apple Bread Pudding Pie with Caramel Sauce the minute I took the first bite. It is deliriously good. But it’s not the only reason to plan a meal at this upscale/casual riverfront eatery. Tweaks on traditional – like Corn-Beef Burger with Fried Egg and Risotto, Fried Rockfish Sandwich, and Short Rib Puttanesca prove that these chefs like to play in the kitchen to mouthwatering effect. And with entrees priced in the mid $20’s (most expensive, $27 for Delmonico Steak), dinner here won’t tap you out. Just a reminder: you definitely have to leave room for Miss Flo’s Bread Pudding. EAT: The Red Roost, Whitehaven. 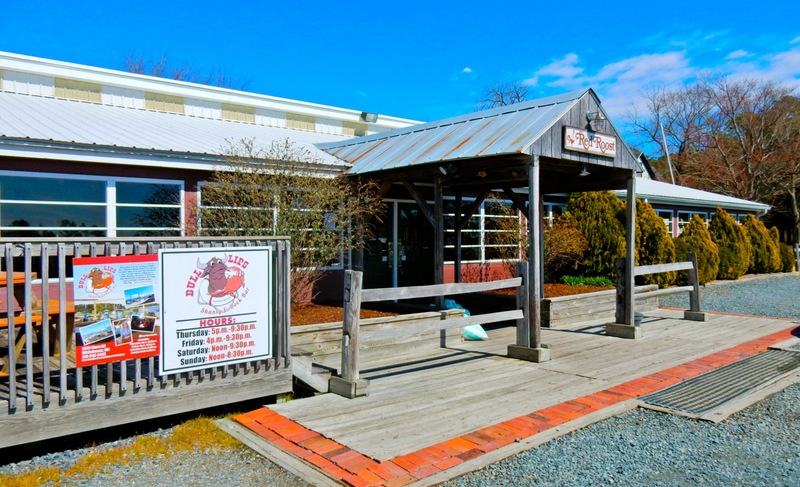 Legions of fans have found this simple crab eatery, situated in an old repurposed Purdue chicken house, way, way off the beaten path somewhere between Salisbury and White Haven. You’ll drive past cows and horses at pasture to get to this place, but be assured, there will be a wait at the height of the season. STAY: Whitehaven Hotel. 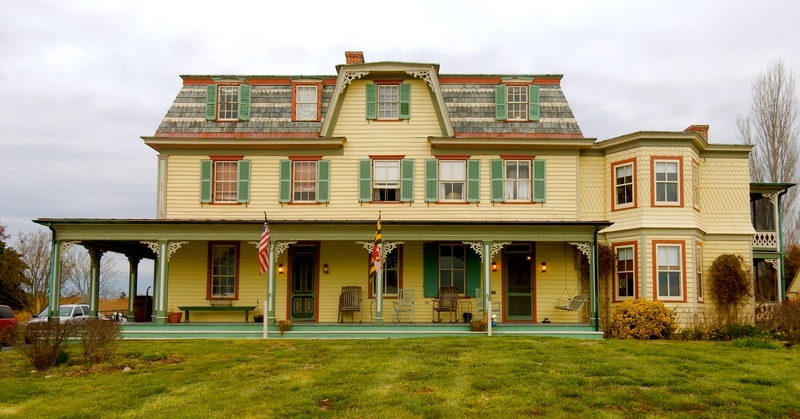 If you’re the kind of traveler who seeks out remote, charming, river-set historic inns, you’ll love the Whitehaven Hotel – an 8 room 1810 B&B, 7 miles down Whitehaven Road in the historic district of White Haven on the banks of the Wicomico River. A Maven Favorite – see the full write-up here. Art Institute & Gallery is worth visiting. Hi Mary! 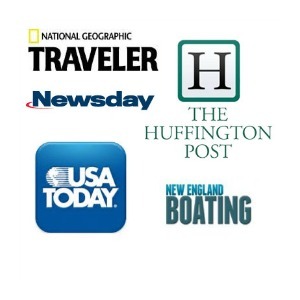 I work for Wicomico County Tourism. The Art Institute & Gallery and SBY Art Space are actually the same place. The AI&G recently rebranded.